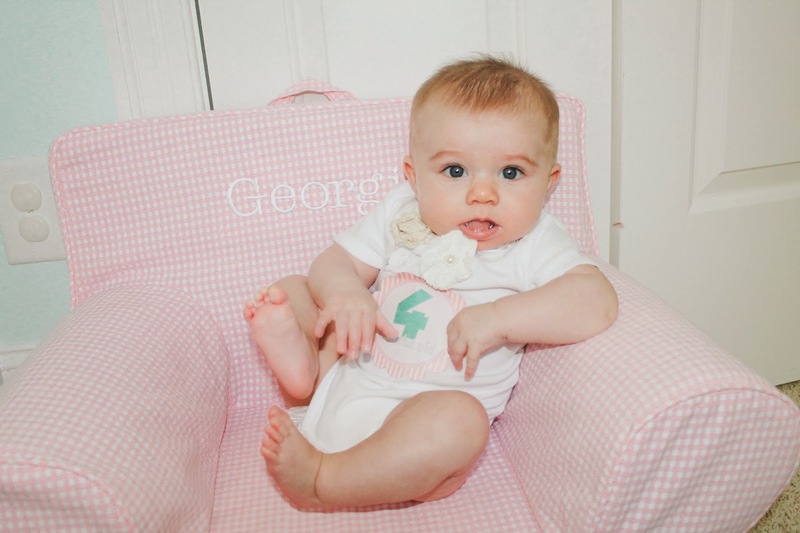 Gratefully Inspired: Georgia turns 4 months! 4 months seems like a major milestone in my book. I mean, I remember seeing and hearing about friends' babies who had turned four months and I would think, "wow they are growing up so fast!" 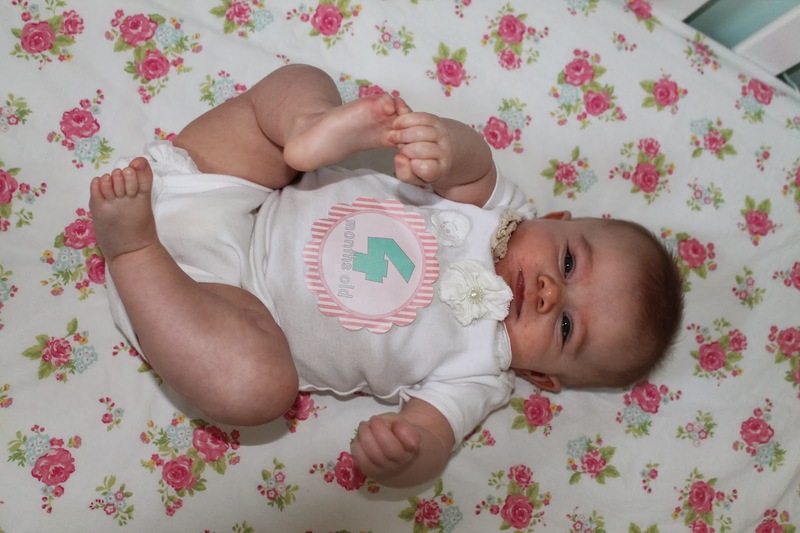 Well, now my own sweet little pip squeak has turned 4 months. And it's true! She really is growing up wayyyyy too fast. Anyone know where I can find a machine that freezes time around here? If so, let me know! 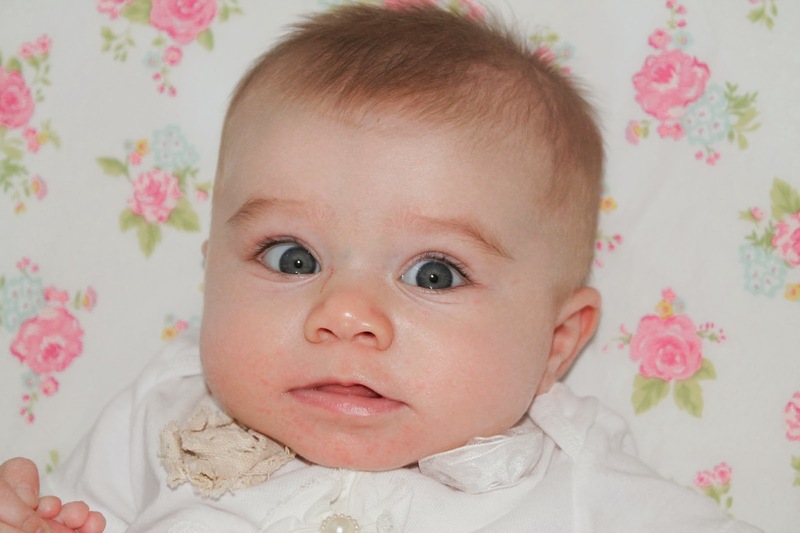 Until then, here's G's 4 month update! Sleep: HAHAHAHAHAHA. What sleep? She went through a bit of sleep regression as I mentioned in her 3 month post, and now throw a stuffy nose into the mix? Yea we don’t sleep at our house. But I am hopeful that baby girl will get well soon and we can begin the process of retraining her to sleep. Because mama looks like a crazy lady with circles so dark it looks like she’s been in a fight. The only thing getting me through is the fact that everything is a season. This too will pass. And she will keep growing. And growing and growing. And sometimes I just want it to stop. No sleep and all. Because really even when she does wake up at 11, 230, 330, 430, 530, 630 and 730 (I only wish I was exaggerating), the gummy smile I am greeted with melts my heart. I love her. Social: She looooooooves some attention. We attended our first Kindermusik class and well? She loved it. We went with old friends and left with some new ones and we are headed back twice this month (once on mama’s birthday! Yayay!). And holidays? They are her thing. Being passed around like a hot potato and smothered in kisses and tickles by grandparents, aunts, uncles and cousins – yea she digs it. She is quite the ham. 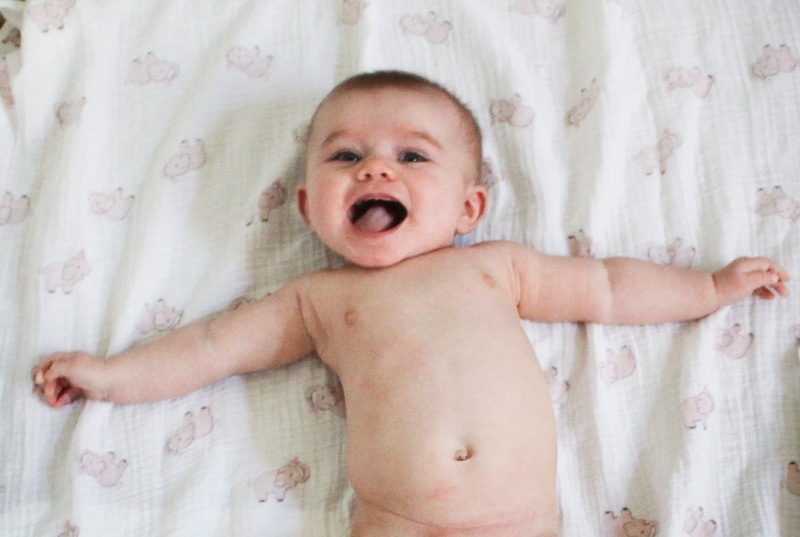 Clothes: Can we talk about how inconsistent baby clothes are? I mean, G wears some things in 3 months, some things in 6 months, and her pants? 9 months! The 9 month pants are a little big in the waist but she needs them for length or else she’d be in capri’s constantly. But honestly, it depends on the brand that’s for sure. All baby clothes run different! And she is still rocking mostly summer attire with her turtle kneck and long-sleeve onsies she got from H&M under them. PS – can we also talk about her Thanksgiving out? I showed a little taste on Wednesday, but a fur vest? Really? I’ve died and gone to Heaven. Baby Gear Love: Still looooooove my best pump, because well – it’s my new best friend. Also loving our Bumbo seat! And for Christmas? G is getting this adorable, larger-than-life bunny, this adorable tee-pee and some Spanish/English board books so she can work on becoming bi-lingual of course. Although we are in the market for a high chair – any of you mamas out there have one you love? Crying: She’s a happy little lady! She really only cries when she’s hungry, bored or over-tired (which we try to prevent by having a bit of a routine). She really hasn’t been fussy since she’s been sick either! Likes: Her mama and her daddy and huge favorites in her book right now. When daddy comes home, her face lights up like a Christmas tree and mama works for that smile all. Day. Long. She loves this little bunny blanket thingy. And her thumb. Huuuuge fan of her thumb right now. And being tickled. She cackles when mommy’s tickle fingers comes out, even in the anticipation stage. It’s amazing. She also loves her hands, and her feet, and pretty much anything else she can grab to go in her mouth. And she loves laughing at herself in the mirror too! Ahhhh, the best. Dislikes: A dirty diaper is not her friend that’s for sure. And when she gets tired, she needs to chill out – aka no tickle monster or funny songs/voices. Other than that she’s likes everything and everyone! Postpartum: Feeling normal woop woop. Still haven’t gotten on board with the exercise thing yet. Maybe in the New Year? I know I need to, I just haven’t been able to yet. Soon though. I feel it. I love reading your posts about Georgia. She is so precious! I just wanted to let you know that you are amazing for exclusively pumping for Georgia. I EP'd for Everett from 4 to 10 months and boy is it tough, but so worth it! I hope ya'll are doing well. My feedback about high chairs is to skip the big stand-alone ones and get one that attaches to a chair. 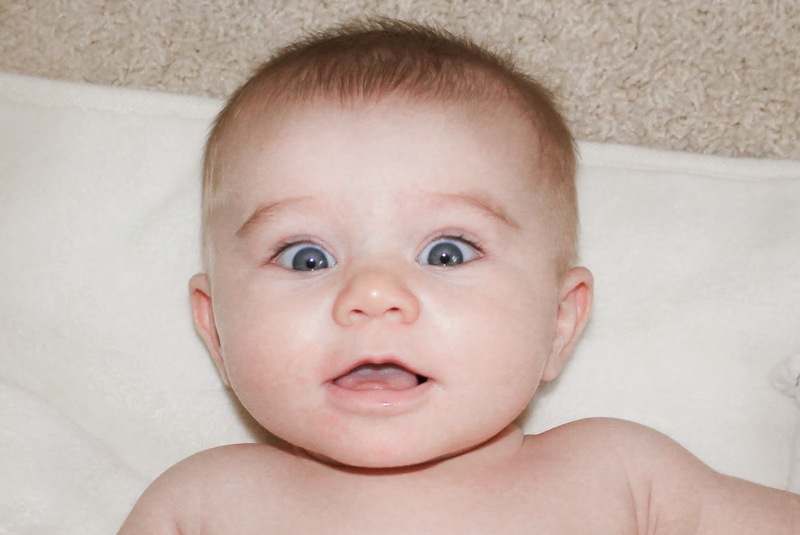 (We love the Fisher Price Healthy Care booster) Soooo much cheaper and baby loved it! Oooh, she is too cute! Your daughter is beautiful! I have a Georgia that is 4 months old as well! :) She is Georgia Kate! She just keeps getting cuter and cuter! She's gorgeous Denise!!! And um, I need to know more about this life size bunny and the spanis/english thing? Sounds amazing!! I did not know you were now pumping exclusively. You are an amazing mama. Gigi is so lucky to have you! I know how hard that is, and you are really doing an awesome job!! what i wish i'd known before saying "i do"